'The Modern Christmas Tree' is a contemporary acrylic Christmas decoration that will look fantastic in any modern or traditional setting. The range of trees featured on our products page have been designed by Emma Hier: an aspiring designer with a passion for interior design. Emma's interest in contemporary design lead her on a search for a modern take on the Christmas tree. With very little choice in the shops, apart from the normal traditional fare, Emma found that there was very little on offer for consumers with a taste for Modern or Minimalist design. Eventually Emma decide that the best option was to design something of her own, which would be inexpensive, easy to assemble and require as few parts as possible. 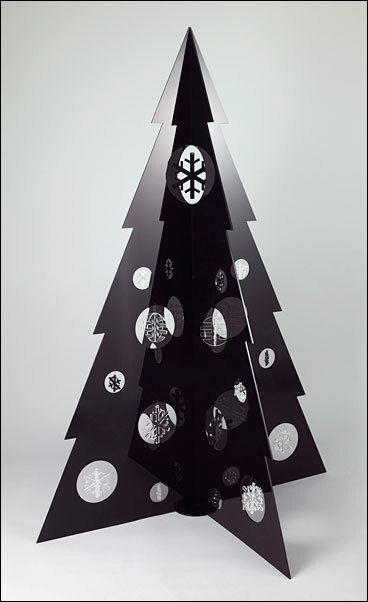 The end result is 'The Modern Christmas Tree' - an acrylic flat-pack design, which is stylish, easy to assemble and has timeless elegance that will look good year after year. and a number of different configurations and colours.